The characterization of mutational processes in terms of their signatures of activity relies, to the most part, on the assumption that mutations in a given cancer genome are independent of one another. Recently, it was discovered that certain segments of mutations, termed processive groups, occur on the same DNA strand and are generated by a single process or signature. Here we provide a first probabilistic model of mutational signatures that accounts for their observed stickiness and strand-coordination. The model conditions on the observed strand for each mutation, and allows the same signature to generate a run of mutations. 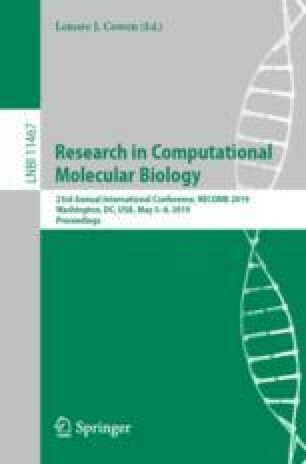 We show that this model provides a more accurate description of the properties of mutagenic processes than independent-mutation models or strand oblivous models, achieving substantially higher likelihood on held-out data. We apply this model to characterize the processivity of mutagenic processes across multiple types of cancer in terms of replication and transcriptional strand-coordination. This study was supported in part by a fellowship from the Edmond J. Safra Center for Bioinformatics at Tel-Aviv University. DW and TMP are supported by the Intramural Research Programs of the National Library of Medicine (NLM), National Institutes of Health, USA. RS was supported by Len Blavatnik and the Blavatnik Family foundation. We thank Mark Keller for his help in processing mutation datasets.